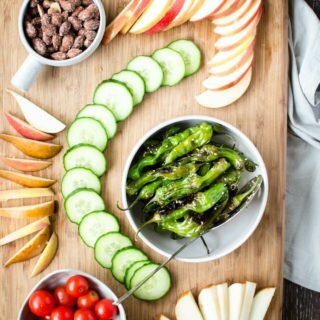 Appetizers | Foods for Parties, Events, and More! These are my favorite appetizer recipes! Here you will find dips, spreads, bite-sized food, and all of the dishes I create that would be perfect for a party, event, or entertaining. Some of the recipes are healthy, some indulgent, and all are delicious! Ultimate Antipasto Platter – Get “Wow” Factor Without the Work! Blistered Sesame Shishito Peppers – A 5 Ingredient Recipe! Fig and Cranberry Brie Tartlets + California Fig and Fitness GIVEAWAY! Baked Pimento Cheese Cups – 2 Ways!